Is it your first ski holiday, and you’re overwhelmed by all the kit you’ve bought or borrowed, leaving you wondering what else you need to take? Or you’ve skied many times, but you always forget that one crucial item? We’re here to help, you’ll never forget anything again as our ultimate ski holiday packing guide is here to save the day! As well as including all the essentials to give you an easy checklist, we’ve put in some other items which are easily forgotten but will take your day from good to great by keeping you comfortable, saving you money or entertaining the kids! Most people going on a ski holiday will need their passport, so dig yours out of the cupboard and put it somewhere safe. Make sure you have all the paperwork you need for your holiday (or boarding cards etc downloaded on your phone). Check your travel insurance policy (or get one now!) and make sure it covers you for the winter sports you’ll be doing – if you’re planning to ski off-piste be extra careful to check as this isn’t always included in standard ski policies. Check the weather forecast to help guide what you’re packing. In January, you’ll be grateful for thermals, but in spring a t-shirt might even be enough under your ski jacket. Enquire with your ski holiday company about what might be supplied in your accommodation – any toiletries, hairdryers, slippers etc. will help save space in your case. Finally, don’t forget to exchange your money and get some foreign currency if you’ll need it. Dig around in your drawer for the euros left over from your summer holiday, and make sure your foreign cashcard is charged and that you haven’t forgotten the PIN. What’s included at your accommodation? Let’s start with the most obvious things in your ski holiday packing guide – you’ll need your ski jacket and trousers. Cool kids and actual children might opt for a onesie, but the advantage of a ski jacket is that you can also wear it off the slopes, saving on space so you don’t need to pack a jacket for the evenings. Top tip: wear your ski jacket when you travel to save space in your case. Underneath your jacket, you’ll need a jumper, mid-layer and thermal depending on the forecast and how much you feel the cold. On the bottom half, you may choose to wear thermal trousers. For all of these things, 2-3 per person of each should be enough for you. You’ll definitely need ski socks. These should be non-ribbed and seamless, and only you know how many times you can wear them before they are banished out onto the snowy balcony! You’ll also need goggles and sunglasses, so you can adapt to the weather. A neck warmer or scarf will keep you more comfortable as you race down the slopes. Don’t forget to keep your hands warm and dry – are you Team Ski Gloves or Team Mittens? Again, you might want thermal liners if you tend to get frozen fingers. We recommend bringing a backpack along, and if you haven’t got a helmet included with your equipment rental then don’t forget to pack it! Top tip: if you have a helmet in your case, use it to protect other fragile items too! Bring along a couple of jumpers to wear when you get back to your accommodation or in the evenings. You’ll also need t-shirts or tops to go underneath. As with socks, you know if you can get away with 3 tops for the week or if you need one per day – this will likely depend on how much dancing you’re planning to do! If you’re planning a fancy meal out, you might want to bring along a shirt or dress, but the dress code in most ski resorts is casual so you can consider this optional. On your bottom half… realistically, you’re going to wear the same pair of jeans all week, so save on space and just pack the one! And are you really going to wear a skirt in the snow? If you’re the kind of person who loves their loungewear, then don’t forget a pair of comfy trousers to wear when you’re relaxing in your accommodation. Underneath those layers, don’t forget about your underwear – socks (as well as ski socks), pants and bras! You might prefer to bring a sports bra for skiing and another for the evenings, that’s down to personal choice. For walking around, leave your heels at home. One pair of shoes will be enough, we recommend snow boots with good grip (or walking boots if you don’t want to invest in snow boots for one week of the year). 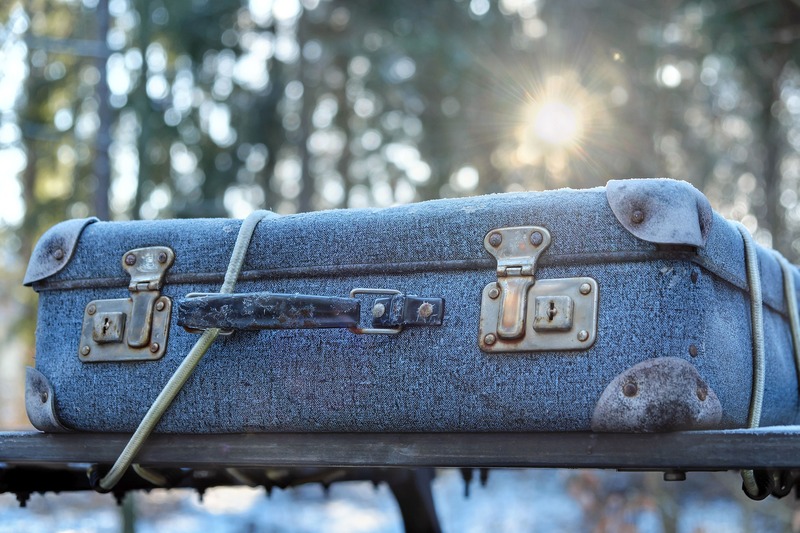 Top tip: wear your boots when you travel – or they’ll take up a lot of space in your case. Keep your head nice and warm off the slopes with a warm hat or beanie. And from your top to your toes… if they aren’t provided by your accommodation, a pair of slippers will keep your toes toasty when you’re not out and about. If you have access to a hot tub or swimming pool at your chalet, apartment or hotel, then don’t forget your swimming costume! And you’ll also want your pyjamas for sitting down to breakfast in the morning. Top tip: save time and money on the slopes by travelling with a reusable water bottle and vacuum flask. You won’t need to stop to buy drinks so often, and you’ll be doing your bit for the environment too. If you’ve booked self-catered accommodation, then you could even whizz up a soup to take as a packed lunch on the slopes, and pop it in your vacuum flask to keep warm. A multi-pack of pocket tissues is indispensable if you’re travelling with kids, to keep their runny noses under control. Speaking of pockets, little skiers and adults who suffer from “hanger” (hungry + anger) will be grateful if you remember some snack and treats to keep energy levels up throughout the day – meaning you can ski longer. Pack your toilet bag including toiletries, sunscreen, lip balm with SPF. A mini first aid kit is always a good idea – there’s always one person who complains about small ski boots which rub their feet but won’t go and change them, so have some blister plasters to hand to stop them going on about it! We also recommend moisturiser to keep your skin hydrated. If a hair dryer isn’t provided at your accommodation, then make sure to bring along your own, otherwise, your head is going to get very cold. And speaking of keeping warm, chilly skiers among you will want to bring along your hand and foot warmers to slip inside your gloves or boots. Tech essentials are plug adaptors and chargers for your electronic devices – phone, GoPro, tablets etc. And don’t forget to throw the devices in too. You might also want to bring along a battery pack if you know your phone doesn’t last well in the cold. We also like to bring along books and a deck of cards. These are great for keeping kids entertained too, if you’re travelling en famille, and depending on their age, a good colouring-in book will give you at least 5 minutes peace and quiet! Sharing a room with a snorer? Then don’t forget your earplugs. And bring along a travel pillow if you are one of those lucky people who can sleep on a plane or transfer bus, so you arrive in resort feeling very refreshed. Finally, one of the last things in this ski holiday packing guide, for your journey home: make sure you have a plastic bag in your suitcase, for any clothes which haven’t dried out by the time you’re packing. The age-old question is, do you bring your own ski equipment or hire it in resort each year? Having your own might save you money in the long term, and some people prefer to have their own boots to guarantee comfort and fit. Also, if your flight booking includes a ski or board bag, then you can pad it out with clothes too and you might even get away without having to take a hold suitcase too. Top tip: if you have your own ski boots then try and put them in your hand luggage to save on your weight allowance in the hold. 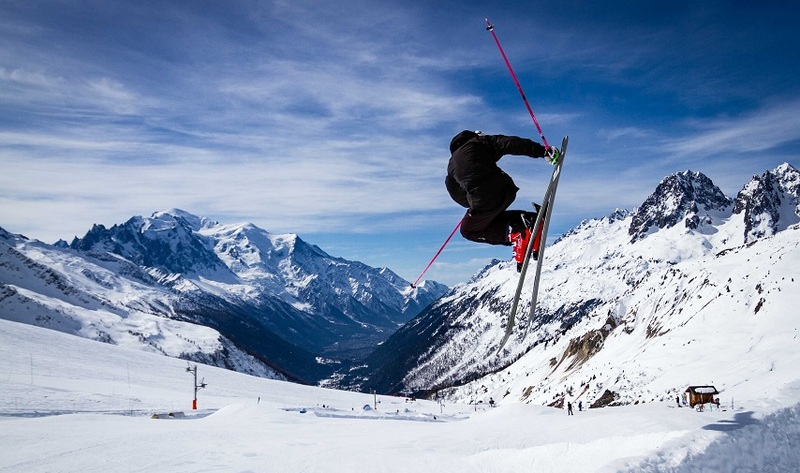 However, the price of ski hire is coming down year after year (for example, Chamonix All Year guests save 30% when they pre-book, with delivery included! ), and as competition increases, the quality of equipment is improving too. Many shops will refresh a good percentage of their stock every year, so you’re likely to be skiing on this year’s or last year’s skis anyway. Many rental shops will also let you come back and swap out kit that doesn’t fit properly, or isn’t quite right for the current conditions. Whatever you decide, if you have some or all of your own kit – it goes without saying that you mustn’t forget to pack it! We’ve tried to be as comprehensive as possible in our ski holiday packing guide, to make the start of your holiday as easy as possible. Do you think we missed anything? Head over to our Facebook page and let us know if we did! Ski holiday packing guide – final top tip: roll don’t fold your clothes. They’ll take up less space and you’ll be able to fit more in your case.